Join Our Fund Development Committee! This committee works together to connect foundations, corporations, small businesses and individuals to the Club. 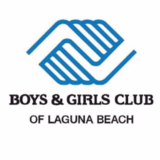 The committee will help spread the word about the Club and the needs of our children in an effort to connect people interested in supporting such efforts.